I am glad that our handbag can get your favor. The combination of practicability and fashion is the theme of our bag. This bag is made of oxford fabric which is really stout. The quality of this handbag is superior, yet the price is very reasonable. It is large enough to put an A4 magazine. Delicate printing design brings a sense of charming elegance. We believe you will like it. It is appropriate for many outfits and situations. It is perfect for every season. It is comfortable and easy to carry. The reflection of customers for this bag has been very good. Buy one, you will never regret your choice. 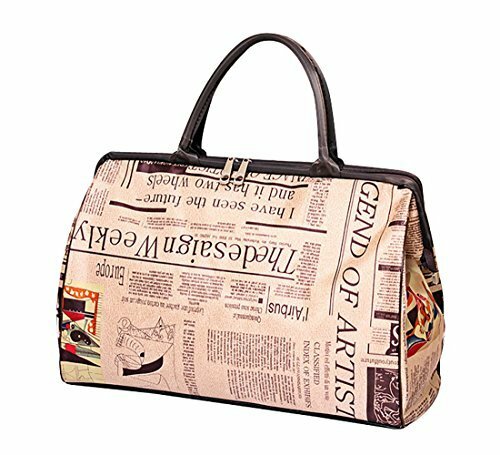 A fashion bag full of personality, convenient for you to hold cash, coin, keys, cards, etc. Great in detail and good for your personal collection. If you have any questions about this product by ilishop, contact us by completing and submitting the form below. If you are looking for a specif part number, please include it with your message.